With colorful, concise, and easy-to-follow illustrations, The L.L. 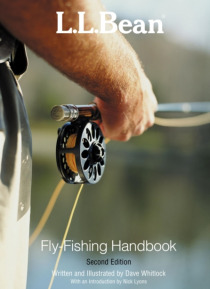 Bean Fly-Fishing Handbook offers a fun introduction to the sport. This friendly volume coaches readers on the basics of fly-casting and assembly of tackle without demanding that the reader invest tons of time and money. The goal here is getting started, and this useful, portable book won't sit on the shelf-it's meant to be taken ou… tdoors for easy consultation. Author Dave Whitlock covers the foods fish eat and how to imitate those foods, details the necessary fly assortment for novices, and provides a useful glossary. Chapters added in this edition include approaches to saltwater fish species, ethics and sportsmanship, and methods for fishing from boats and float tubes.